All Biomat products are shipped through a third-party company. You can expect to receive them in 10-14 business days. We build up stress in our body and mind every day, leading to pains, aches, fatigue and nagging issues that linger. You can ease all of those problems with the help of the revolutionary Amethyst Biomat. It can help ease physical symptoms that are caused by poor circulation like muscle and joint pains, even problems as serious as arthritis. The Amethyst Biomat is FDA approved as a medical device. Heated blankets or pads are popular ways for relaxing and easing physical pain. 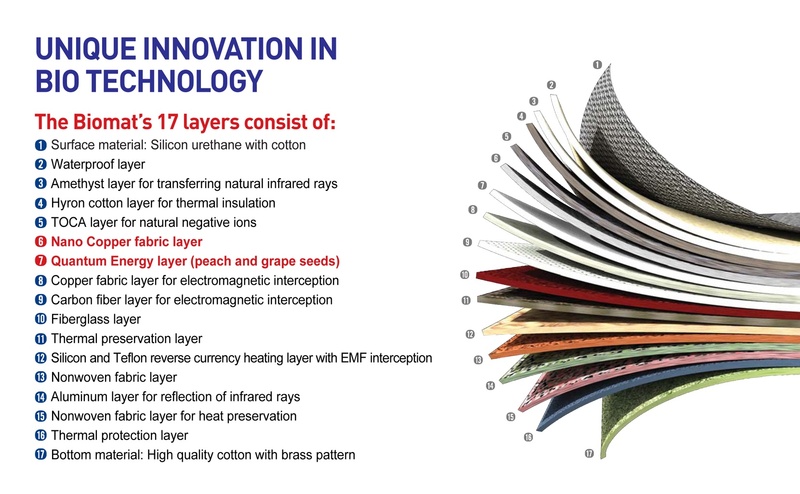 However, these conventional items use electric coils to produce heat, while the Amethyst Biomat uses heat carried through its 17 layers of fabric and amethyst stones to produce far infrared rays, negative ions, and a protective shield against EMF. The friction caused by the far infrared rays transfer as heat into your body and warm the inside along with whatever parts are directly touching the Biomat. 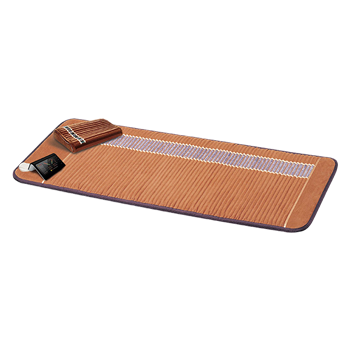 The Biomat’s unique layers and construction work together to warm you to the core and heal deeply in ways that a regular heating pad just can’t. Far infrared rays are a certain frequency of light waves that are part of the electromagnetic spectrum. They’ve been the subject of many studies about their various health benefits and are most commonly known to be emitted during a sauna. When absorbed by the body, far infrared rays promote fast cellular turnover and powerful circulation of blood, lymph, and energy. Similar to the sun, they warm and relax your body with the energy they provide. The rays penetrate into your muscles and go even deeper into the body’s tissues and cells. The heat waves stimulate and promote circulation as your tissues and muscles relax and your body is relieved of pain. The Amethyst BioMat generates far infrared rays that the body can easily absorb. Negative ions are negatively charged atoms, or those with more electrons than protons. They’re essential for stabilizing free radicals that damage our cells and cause aging and disease. The Biomat’s fabrics and ingredients are specifically developed to create negative ions to pair with the heating and healing factors that your body is receiving while using the Amethyst Biomat. Perfect for use at home, therapeutic clinics and even hospitals! The BioMat comes with an digital control box to set your desired temperature and usage time. If the BioMat gets too hot or goes above the set temperature, heat sensors will automatically cut off the electric current to start cooling it down. Once the desired temperature is achieved, the mat will continue to generate negative ions until the heat needs to be raised. The BioMat plugs into a 120V outlet.